Less that a year ago the concept of Warrior Beat was a fledgling idea. What they didn’t realize then was that in several short months theywould be in a position where they could hold group drumming circles for 100 veterans at a time. The cornerstone of this success had not only to do with the drive of their core Warrior Beat team, but also the wonderful men and women who work at S.C.O.R.E. who would spend many hours with Warrior Beat, honing the idea, and nurturing it to become what it is today. S.C.O.R.E. (previously known as Service Corps of Retired Executives) is anational association that offers no-cost counseling and workshops for non-profit and for-profit business who are looking to succeed and grow. Warrior Beat is a non-profit that offers professionally facilitated group drumming for US Veterans who may be suffering from PTSD, anxiety, substance-abuse or other mental or physical ailments. 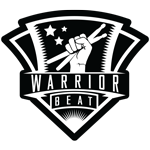 You can find out more about Warrior Beat by visiting their website at http://warriorbeat.org.